Nikki Sudden died Sunday, March 26th after a show the night before at New York's Knitting Factory. He was 49 - not 27. No cause of death has been made public yet. Always a prolific artist, Sudden had just completed a new solo album, The Truth Doesn't Matter, and had a gig booked in London on Wednesday (March 29) with his band The Jacobites. According to a post from longtime group member Dave Kusworth on Sudden's MySpace.com page, the show will go off as planned in memoriam to Sudden. “Nikki Sudden believed in rock'n'roll -- and how hard was that in this cold new millennium?,” Kusworth wrote. Sudden rose to fame with his brother Epic Soundtracks in a band called Swell Maps, a late 70's rock combo that has remained influential despite its brief life span. I guess I should start getting used to this sort of news, but I'd rather not. Nikki Sudden was no Elvis Presley, John Lennon or Kurt Cobain, but I discovered his music for myself one day, purchasing nearly half his catalog for about $20 at one of those amazing Kemp Mill Record store sales. 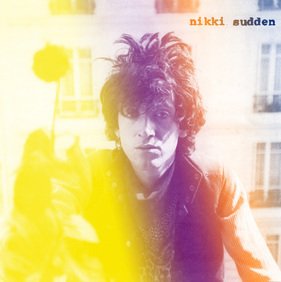 I bought four albums by Nikki's band, The Jacobites, without ever hearing a single song, because I thought anyone with a cool rock n' roll name like “Nikki Sudden” (and had a brother named Epic Soundtracks) had to be good. My instinct was right, and over the years I have managed to track down several other LP's by him. I hate to be reminded of my mortality and it doesn't matter whether it's by somebody close or somebody I've only gotten to know through the speakers of my stereo. The Happy Medium Song of the Day is “Shame For the Angels” by Nikki Sudden from the album The Ragged School. RIP.